The minimum legal age for drinking beverages with alcohol content is very variable, we can say that it fluctuates between 16 years to the total ban. Come along and take a tour with us around the world and you’ll know the minimum age for drinking alcohol in the main alcohol consuming countries of the world, and some of their disputes. United States – The minimum age is 21 years, but in this country there is a longstanding controversy as the young people, when they are 18 years old, can join the army and fight in a war but can’t drink alcohol. Canada – Laws varies state by state, in some states the legal age is 18 years and in another 19 years old. Brazil – In the land of cachaça the minimum age is 18, but you can vote when you’re 16. Latin America – In countries such as Argentina, Peru, Mexico, Chile, Venezuela, Colombia, Nicaragua, Dominican Republic, Uruguay, Ecuador, Panama, Cuba, Costa Rica, Honduras, Bolivia, Puerto Rico and others, the minimum age is 18 years. But there is one exception: In Paraguay the minimum age is 21. Then throughout the rest of Spanish speaking countries is 18 years old. Spain – Spain is the land of the Orujo (Marc) and the good wine, wait until 18 to enjoy them. Italy – The country of the boot has the lowest age for drinking alcohol, only 16 years old. Sweden, Finland and Norway – Nordic Youth must wait until age 20 in order to get warm with a good vodka. France and Portugal – 2 countries with a long tradition of good wines and beverages. In both the minimum age is 18 years, but they do at 16 years and that’s not a crime there. India – The law in this enigmatic country is also enigmatic, age ranges from 21 to 25 years old, depending on the province where you are. Autralia and New Zealand – Here, as most countries in Oceania, the minimum age is 18 years. Japan – To drink good sake, young Japanese will have to be 20 years old. Eastern Europe – The 18 years is the minimum legal age applied in countries like Germany, Russia, Poland etc. Saudi Arabia, Pakistan and Iran – Here you need to leave their borders, because alcohol is prohibited at any age. Sierra Leone, Nigeria, Senegal – In black Africa’s countries, the law to drink alcohol restrictions do not exist. In some countries life expectancy is less than 30 years old and live in constant conflict, in which children fight. Ron Diplomático is the silky rum. One of the greatest rums. 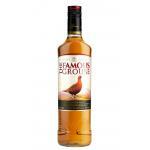 A best-seller in United Kingdom, The Famous Grouse is one of the best scottish.